Komatsu recently launched their new C124 harvesting head. An update from the previous C123 with many new features of which the fourth feeder roll is the most obvious improvement. Another new feature is head mounted working lights! Cool, isn’t it? The idea of four feed rollers was first introduced at the C144 head and it achieved a good position at the demandig CTL-market. 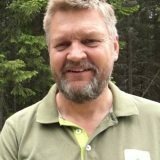 The C124 continues at the same principles. The basic idea behind the C heads is that the stem is held by the feeder rollers. They align the stem, which guarantees productive feeding with less friction from the knives as the pressure can be reduced. In total this means higher production but less fuel consuption. The extra, fourth feeder roll makes the C124 considerably more productive, especially when working with small or crocked trees. The C-heads ability to better center the stems also adds more accuracy to the measuring and improves length and diameter data. In addition, the C124 use fixed diameter sensors in the delimbing knives which means no calibration is needed after service. Another new smart improvement introduced with the C124, is the possibility to add working lights direct integrated in the head. Head-mounted working lights offer a few advantages. 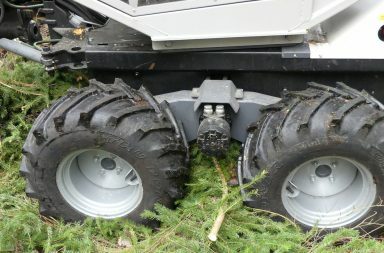 To begin with, they make it more convenient for the operator to grip trees before felling. Hed mounted working lights also reduce the risk to hit stones or other obstacles with the cross cutting chain. Lights also make it easier to see and evaluate quality grade or defecs while feeding. 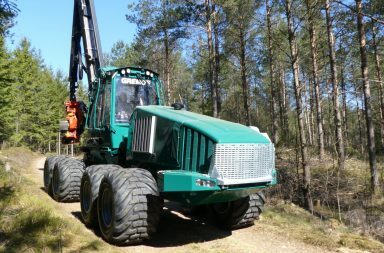 All together these improvements reduce downtime and increase productivity, according to the manufacturer Komatsu Forest. The Constant Cut saw unit has been fitted as standard since the dispatch of the C123. Constant Cut ensures the correct chain speed all through the whole cutting cycle. This avoids over-revving of the saw engine and gives more powerful cutting and higher efficiency. The head has a new improved saw bar mount with a durable construction and the bar return has got increased power. 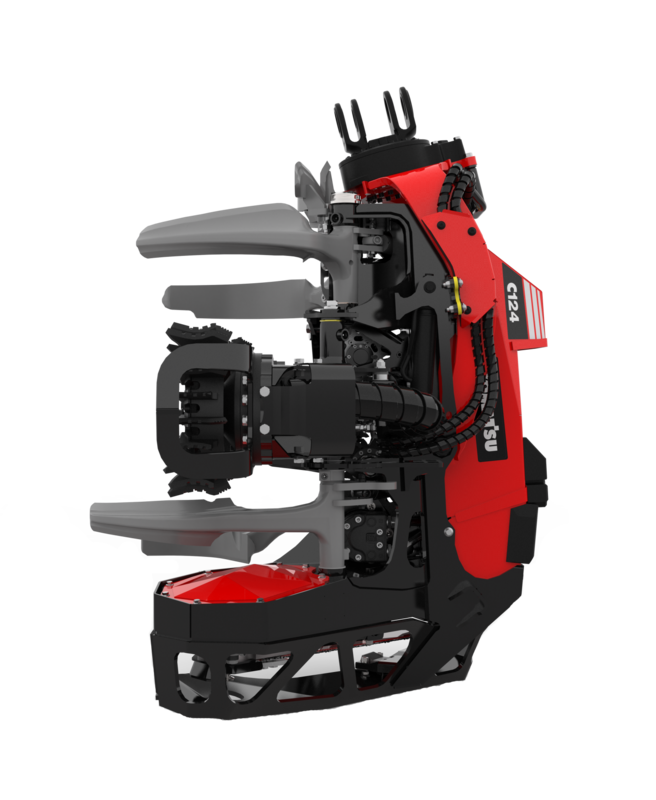 The saw unit is designed for more durability and less maintenance. 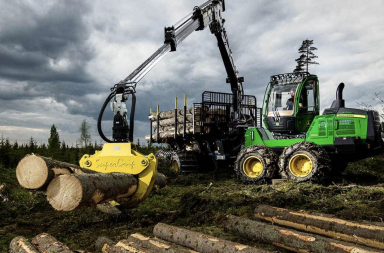 A multi-tree handling equipment can also be mounted as an option, which increases the range of harvesting tasks. The frame of the C124 combines light weight with high strength. The felling link has a wide tilt angle which is very useful when working in steep terrain. This reduces strain on the head frame, which positively affects the heads durability but also the working comfort. The head has casted delimbing knives for high reliability and accurate delimbing. The C124 has, as all other Komatsu heads, smart hose steering for high durability but easy maintenance. There is nor information about this head at the Komatsu Forest website yet but we will ad on with the technical specifications as soon as they ar published.